Peter’s blend of skills from his FCA and CTA qualifications along with practice experience provides clients with a broad perspective and practical advice. Peter’s focus is on improved business performance and enhanced value for clients. John is one of our tax partners, he specialises in assisting clients to minimise their tax liabilities and ensuring they are fully compliant with the complex tax legislation. 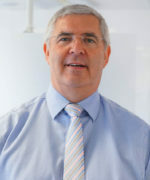 He has over 25 years experience in all aspects of UK tax work. 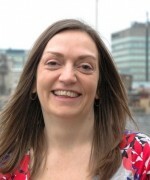 Lesley has been a partner at BWM since 2011, following over 10 years’ experience as audit manager. 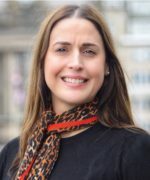 She has a wide ranging knowledge of accounts and audit matters and additionally has practical knowledge from being a charity director for many years. With over 20 years experience, Sue has vast knowledge of all areas of individual and partnership tax specialising in tax planning for high net worth individuals and their businesses. Having worked for a Big 4 firm and HMRC, Sue also helps our clients with any tax issues or concerns they have. Vicki is responsible for all of our marketing related communications and working to satisfy the needs of our existing clients while also establishing new mutually beneficial relationships. 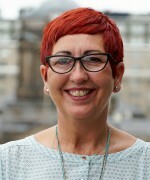 Vicki is additionally able to advise clients on marketing and development. Andy has more than 30 years of experience as a Chartered Accountant in business. He applies his extensive experience and a good deal of common sense to help develop business relationships. Andy’s main responsibilities within the firm include business development and client care. Anita has over 20 years of audit and accounts experience, specialising in company & group accounts and the audit of owner-managed businesses and charities. She also has experience of public sector audit from her time with the Audit Commission. 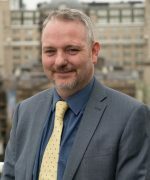 Tony has many years of experience in preparing the accounts and in preparing the audits of small to medium sized companies and charities and Tony is an experienced audit manager leading audit teams. Gearoid has many years of experience in accounts preparation and audits of small to medium sized companies, and additionally charities and limited liability practices. 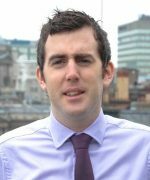 Gearoid helps clients with management reporting and forecasting. 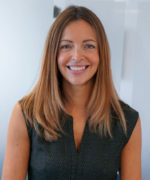 Lisa’s 18 years’ experience in Tax has gained her a wide range of knowledge in all aspects of personal taxation, including individuals, sole traders and partnerships, together with knowledge and experience in payroll. 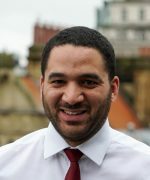 Anthony has over 10 years’ experience in trusts having worked for Grant Thornton and RBS Trust Company. He is experienced in dealing with a variety of trusts and related accountancy, tax compliance and trust tax matters. Sandra has become an invaluable asset to the practice, using a wealth of experience gained when working for Panorama Kitchens as Finance Manager and previous to that Hanridge Services Ltd as Office Manager. Donna joined the Tax department at BWM in 2013. AAT qualified, Donna has worked at Mazars and BDO and specialises in personal taxation matters for a wide range of clients. With a wealth of hands-on experience on payroll related matters, Jayne runs the weekly or monthly payroll services for a many of our clients at BWM. As a Consultant, Paul is involved in advising our high net worth clients, and in particular families and their corporate and trust interests. As a Consultant Lynn advises when required on the preparation of trust accounts and tax matters. She has been a member of The Society of Trust and Estate Practitioners for over 20 years. Steve has over 15 years of experience and works alongside a team of allies with over a hundred years of experience in every facet of ICT, giving a seamless experience without the associated hefty IT director price tag. Our four-legged staff member is a regular fixture at the BWM office. Emer is a ‘Labradoodle’ who has been coming into the office with Peter Taaffe “pretty much from Day One”.